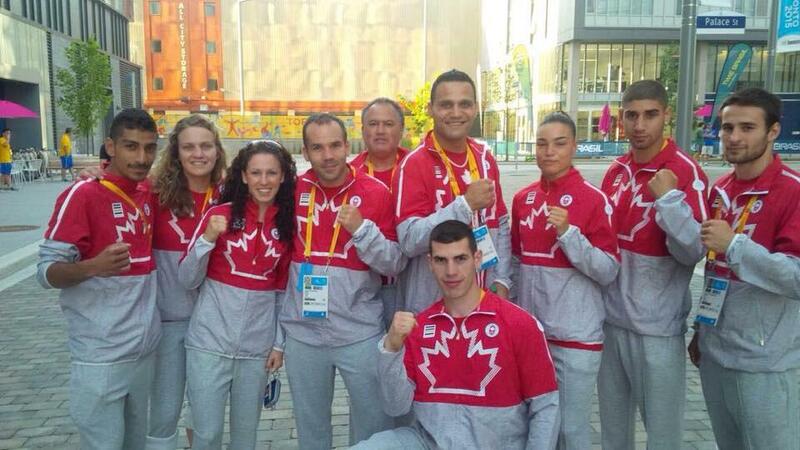 In the sixty-four years since the Pan American Games have been held, 2015 in Toronto has been the best for Boxing Canada. Our female boxers dominated the podium one more time, repeating from 2011 with two gold medals, Mandy Bujold (51kg) and Caroline Veyre (60kg); and one bronze with Ariane Fortin (75kg). The male team broke the cycle of not collecting a gold medal in forty-five years, since Chris Clarke’s lightweight win. In Toronto, light-welterweight Arthur Biyarslanov found his path to wear Gold in a very fashionable way defeating Cuban Yasniel Toledo in the finals. The two bronze medals came from 56kg Kenny Lally and 91kg Samir El Mais. Without doubt, Kitchener boxer, Mandy Bujold (51kg) has established her own record in the second most important multi games for the Americas and has etched her name in three different chapters. In 2011, she was the first female in her division to win a gold. In 2015 she repeated her supremacy, and Bujold is now the first, and only, two time Pan American champion since women’s boxing was accepted in three weight divisions by the Olympic Committee. Bujold’s final in Toronto against World Champion and Olympic Bronze medalist, USA boxer, Marlen Esparza was a rematch from the qualifiers, but, on this occasion, the home boxer used her speed and mind to stay calm and counter punch to defeat her most difficult rival from the Americas. The other gold medal, came from a pretty new competitor in the international ring, 60kg Caroline Veyre. She reaffirmed her 1st place win at the June qualifiers in Mexico by defeating Argentinian Dayana Sanchez and 2011 Pan Am champion Kiria Tapia from Puerto Rico. Toronto 2015 has set the pace for future editions of the Pan American Games and how Boxing Canada continues its work developing athletes.